The uppers are constructed of durable premium quality split leather and synthetic textile, and are mid-height to provide a little more support around the ankle. Inside Tempest you find the exceptionally high performance Sympatex® Moisture Tech waterproof breathable lining. Unlike lesser walking shoes, Tempest features board lasted construction with a full-length mid-sole for better underfoot support on rough terrain. The Vibram™ Borealis outsole is a development of a trail running design but with additional torsion control built-in thanks to a TPU stabiliser piece under the heel. As you’d expect from a trail running outsole, it has an aggressive tread pattern for superb grip on soft and loose surfaces, is lightweight and well cushioned. 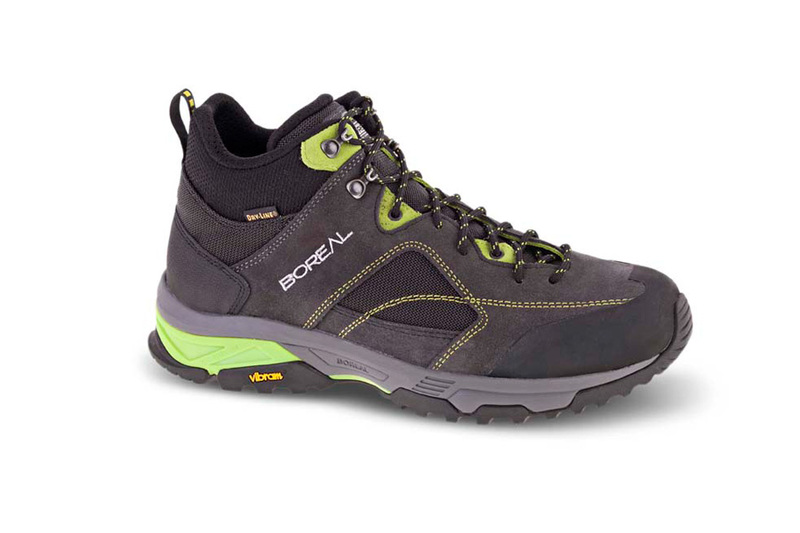 The versatility of Tempest Mid means that very often it can cover both the roles of an approach shoes and a 2-3 season hiking boot in one superbly comfortable package.